Wins/Snubs: All Quiet on the Western Front won Best Picture and The Big House won for Best writing, but George Arliss won for Best Actor - over a huge field of 7 other performances, though only 5 actors as 3 actors (Arliss, Maurice Chevalier, and Ronald Colman) were each nominated twice that year in the same category. 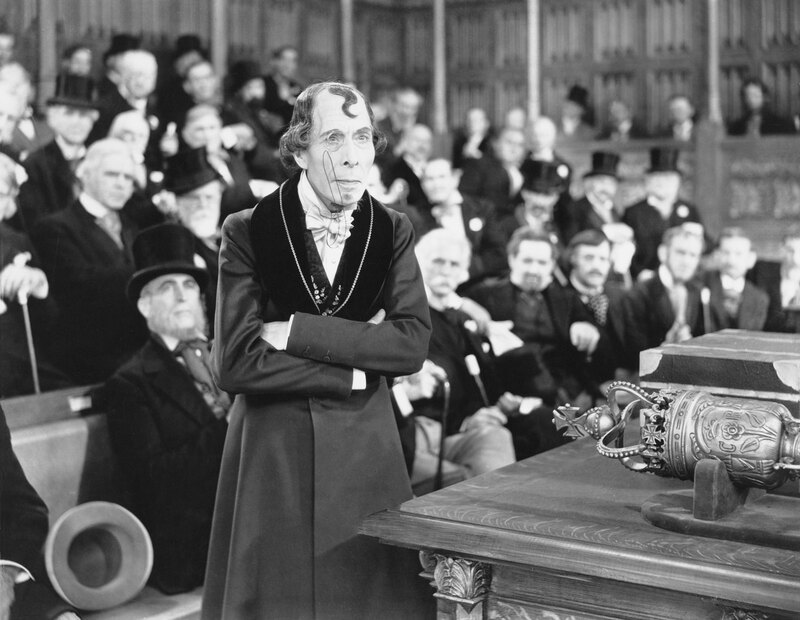 Apparently, Arliss also starred in Disraeli when it was a silent film, and this remake, only 8 years later, was his first big talkie picture. He's really terrific, so while I haven't seen any of the other films, I've seen several of the other actors that year. This is likely the oldest film I'll be looking at this year, but it was a lot of fun. This movie follows the machinations of British Prime Minister Benjamin Disraeli (Arliss) and his attempts to expand the British empire by purchasing controlling interest in the Suez Canal. This resulted in cementing British control of India, making Queen Victoria Empress of India. The story also follows a young admirer of Disraeli, Lady Clarissa, who is being courted by a young lord, Charles Deeford, who goes to work for Disraeli on securing the canal. This convinces Lady Clarissa that he's worthy and ambitious enough to marry. Also, there are a lot of discussions of how the financing will be secured for this massive purchase, and a lot of loopholes are employed. There are a lot of feints and jabs at the opposition and lots of fun politics to follow, but the best part of watching this is easily the acting. They're over the top - coming from an era of silent films, this can be understood, but they're so strongly emoting that it's easy to understand the relatively complicated story. 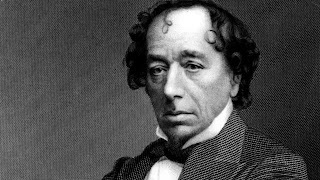 As you can see from the photos, they did a great job with recreating Disraeli's look.